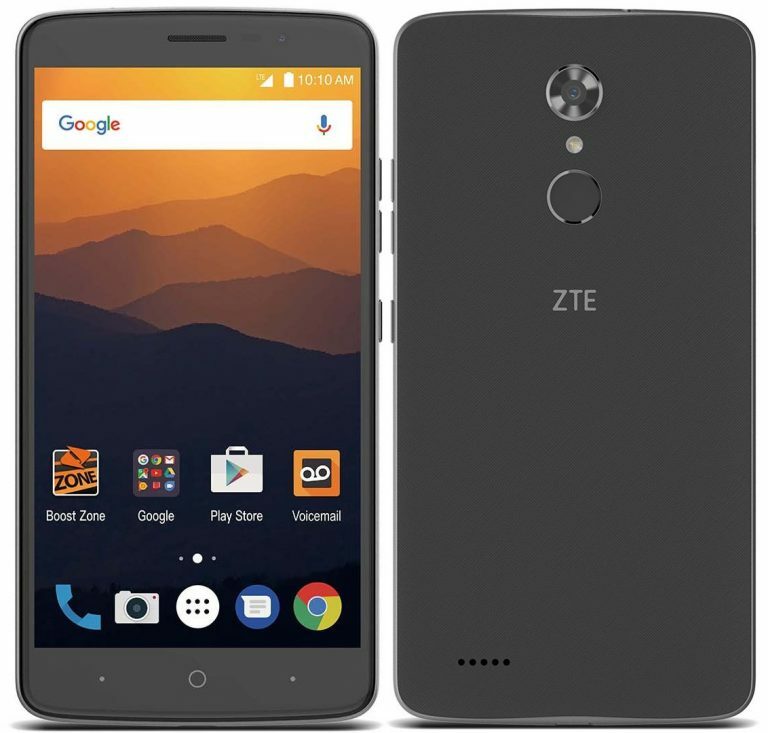 ZTE announced the company’s latest smartphone in the MAX series, ZTE MAX XL in US. Let us have a brief look at its specifications. The smartphone sports a 6-inch display at a resolution of 1920 x 1080 pixels. It is powered by 1.4GHz Quad-Core Snapdragon 425 with Adreno 308 GPU and runs on Android 7.1.1 (Nougat) out of the box. The device comes with 2 GB RAM and 16 GB internal storage that can be expanded to 128 GB using microSD card. The device is equipped with fingerprint sensor and supports GPS, Bluetooth 4.1, Wi-Fi 802.11 b/g/n and 4G LTE connectivity features. The mobile packs 3990 mAh battery and weighs 180 grams with 165.1 × 83.8 × 9.3mm size measurements. ZTE MAX XL will be available in Black color at a price of $129.99 (Rs. 8,360 approx.) via Sprint’s Boost Mobile.